August 22, 2018 – Over the last few years, there has been a lot of speculation about what will happen with the transition to mobile-first indexing. Now that Google has officially rolled it out in March 2018, it is imperative that companies not only adapt their content but pay more attention to Technical SEO. Bookmark has compiled what you need to know to stay ahead of the curve. 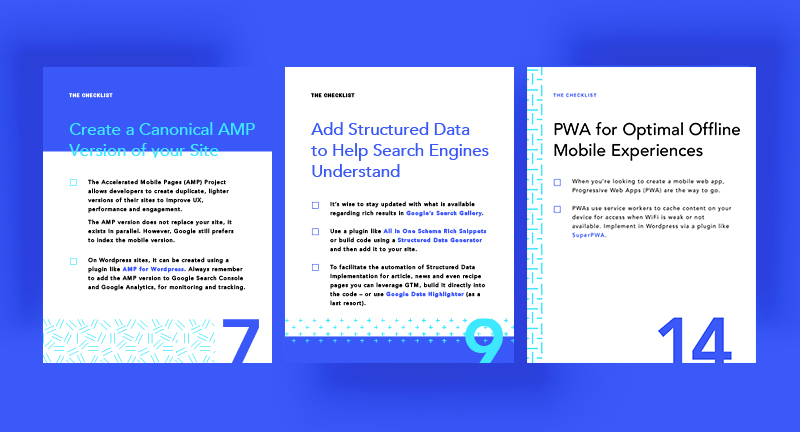 Download your copy of The Very Very Long Totally Thorough Technical SEO Checklist and learn how to adapt your site for Google’s mobile-first index and to help you on your way to be found in voice search.